Imagine you developed poor vision. What would you do? Most likely, you would go to the eye doctor, and he or she would fit you for glasses or contacts. You may even opt for corrective surgery. Regardless, you would be able to go about your life normally and probably not give it much thought from day to day. Now imagine you suffered from poor vision but lived in a rural village in Guinea. What would you do? In all likelihood, you would stumble about with poor vision for your entire life. Your world would be a perpetual blur. Something as simple as corrective lenses would be beyond your reach. 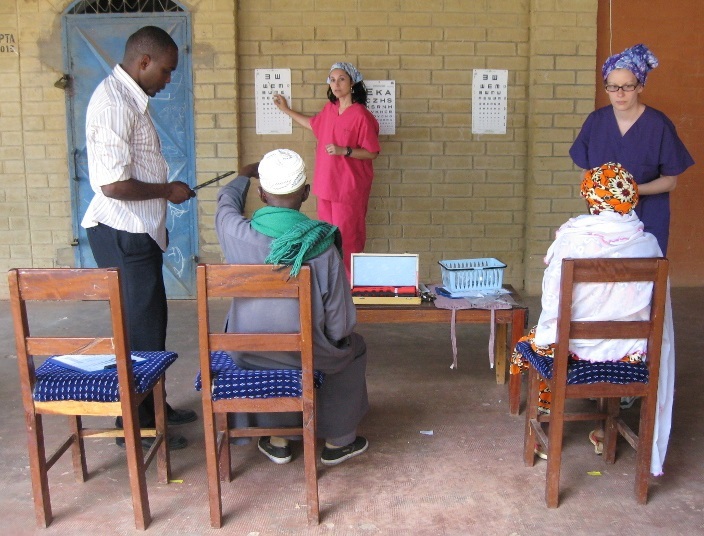 Fortunately, many people in our area of Guinea are blessed by a mobile eyeglass outreach. This outreach sets up a clinic in various locations where they test vision and distribute glasses. These glasses are second-hand glasses that have been donated in America and shipped over to Guinea. What joy it is to see the look on people’s faces when they see clearly for the first time! You, too, can play a role in this outreach. You can set up a collection place at your church, workplace, or school for people to donate their old glasses. Then, send them to the address above where they will be measured and prepped for shipment to Guinea. You may donate both prescription eyeglasses and basic reading glasses. Thank you for your participation!